Quinny is part of the Dorel group. Dorel is one of the largest juvenile products distributors in the world. Its products are well-recognized brands that have gained wide consumer acceptance for their high quality, safety and innovative designs that incorporate state-of-the-art features and up-to-date fashion. Quinny has established itself as a world leader in baby stroller design. It uses modern construction techniques combined with ingenious design to make stylish and practical baby strollers for demanding parents and babies. 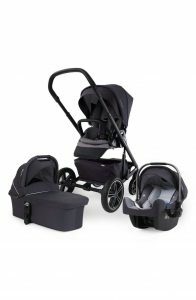 One of these is the Quinny Buzz Stroller. You have a choice of eight, vibrant colors. They look great. 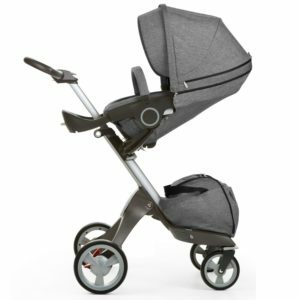 This is a beautiful and stylish stroller and at first glance it looks very much like the Quinny Buzz 3 due to the long, center stem from the frame that supports the front wheels. It incorporates the trademark, pneumatic Quinny Buzz folding system which makes folding and unfolding a breeze. As would be expected in any expensive stroller today, the seat is reversible. This stroller is really maneuverable thanks to the front swivel wheels. The pneumatic rear tires make the ride smooth. 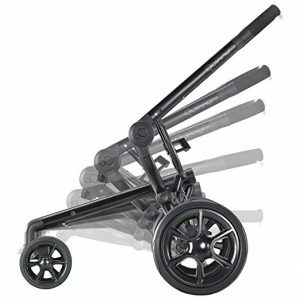 It is easy to push and handles rougher pavements with ease. However the width was a problem. This stroller is too wide when going shopping and caused many problems. The width gives extra stability but for me it was just too wide. The adjustable handlebar certainly helps make it more comfortable for all height ranges. 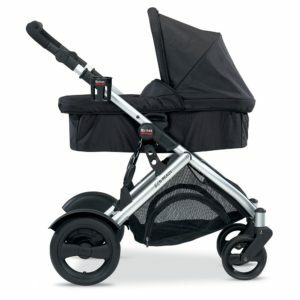 The Moodd stroller frame is very similar to the Buzz frame. It has the familiar, sloping, central pillar that incorporates the pneumatic cylinder used for unfolding. The frame is available in either black or white. The frame is compatible with the Quinny Dreami bassinet, the Maxi Cosi Mico and the Prezi Infant car seat. Adapters for these are included. The seat can be position to face forward or rearward. It has a three position recline regardless of which direction it is facing and the recline operation only requires one hand. It has a three point harness that has three different height adjustments for difference size babies, toddlers or children. There is a front “T” bar for younger children but this is easily removed when placing your baby in the seat. If you want to remove the “T” bar permanently, there is a blanking plate that will cover the opening in the seat frame. 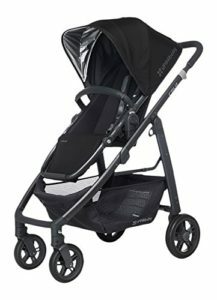 The “T” bar is for younger children but I think it really adds to the modern look of the stroller. In normal use, the “T” bar remains attached to the seat by an elastic hook to make it easier when lifting your baby into or out of the seat. Having the “T” bar in place really helps when lifting the seat off the stroller. The seat has a preformed cushion. The fabric can easily snap off or on and this make cleaning it easy. It can be washed in soapy water and hung dried. The seat frame has a gloss finish (like the wheels). This looks really neat but it scratches very easily and I found myself being overprotective of it as the scratches were extremely visible. The stroller comes with a baby cocoon that is used for newborn babies. This keeps your baby snug, warm and secure while the seat is in the fully reclined position. One of my gripes about the seat is that the footrest has virtually no height adjustment. It can be angled to two different positions but this is rather limiting. The retractable canopy is removable. The folding system is derived from the Quinny Buzz . However folding is easier than the buzz as you do not have to push down as hard to compress the pneumatic cylinder. Folding can be achieved by standing behind the stroller (unlike the buzz). Just release the locking levers on each side of the handlebar and press down on the handlebar until you hear a click. 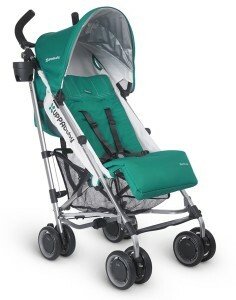 The stroller can be folded with either the seat attached or the seat removed. A strap is provided to ensure the stroller stays folded but this proved unreliable if the seat was still attached. Unfolding is very easy and truly a one hand operation thanks to the stored energy in the pneumatic cylinder. The process is simple. And once unlocked, the stroller unfolds itself. The Quinny Moodd stroller is quite large even when folded. I think that if you have a small car trunk, you will have to remove the wheels to make it fit and even then it may be a tight squeeze. The handlebar is adjustable from 37.8 to 40.9 inches. It is foam covered and to adjust it is simply a matter of pressing a button and then pushing or pulling on the telescopic mechanism. The front wheels (7″) swivels and this makes it very maneuverable in urban areas. 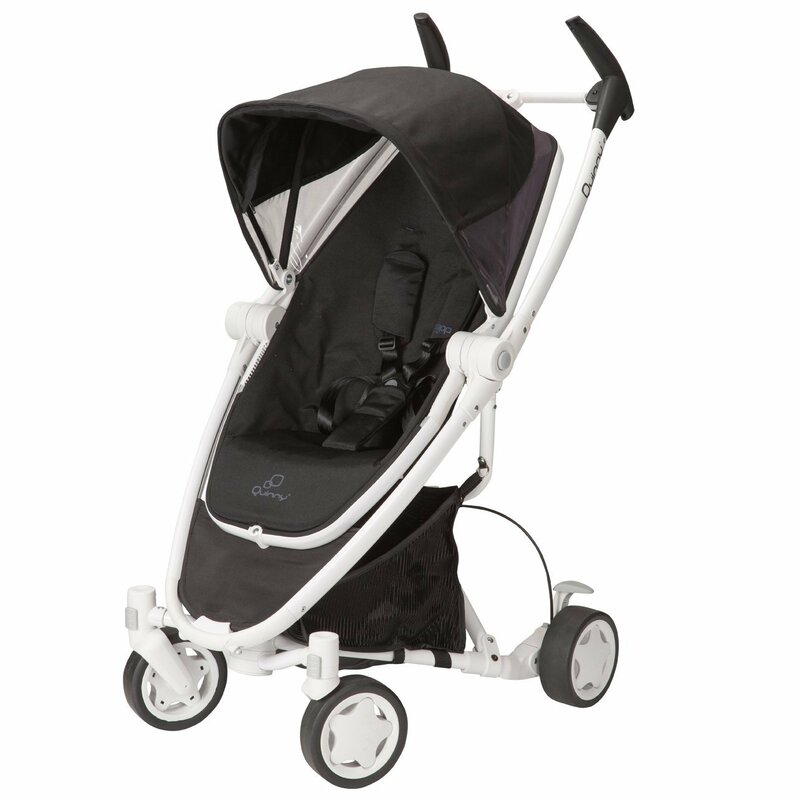 If you need to go over rougher terrain, the front wheels can be locked to make the stroller more stable. The rear wheels are large (12″) and are pneumatic which makes them a little smoother over rough surfaces. There is a pump that hides away in the basket should you ever need to inflate the tires. The wheel hubs are made from glossy plastic which looks great but they actually scratch very easily. The brakes are foot operated. There is nothing complicated here and they work well. Due to the design of the frame, tall objects will not fit in the cargo area. The shopping basket was way too shallow and I did not feel that items were secure. 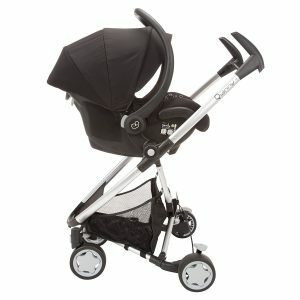 ​This moodd reviews highlights some problems we found with our stroller but overall, we really liked the Moodd. The cargo area is a little too small and the wheel base was too wide (in my opinion). For me, it was very heavy to lift in and out of the car. This would not be a good stroller for anyone who regularly uses public transport. The stroller takes up too much room when folded. The 33lb weight limit seems very restrictive. ​However the Moodd is very maneuverable and looks great. It is well constructed and easily converts to a transport system. 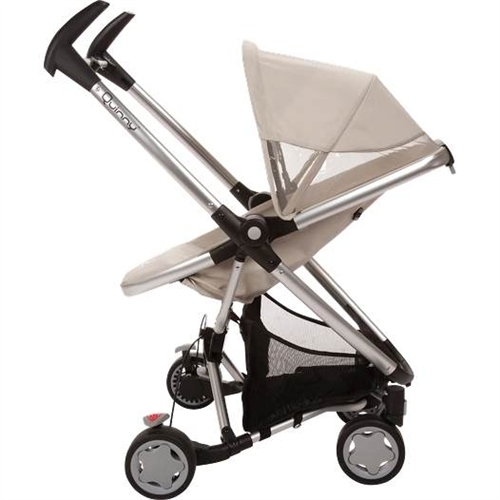 Quinny have designed this stroller relatively well and it is finished to a very high standard. It is not complicated to use. The sleek design and fully automatic unfold mechanism make this stroller a pleasure to use. Your baby will be comfortable and it is easy to push. 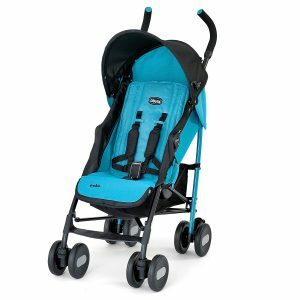 Overall this is a great stroller but you will either love it or hate it as the design will not appeal to everyone and the color range will also not appeal to everyone. 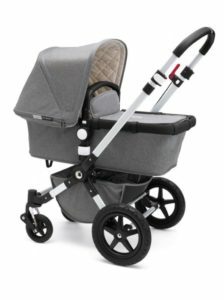 The Quinny Buzz 4 is a versatile stroller with lots of features but it does have a couple of things that I do not like. It is a heavy stroller and even when folded, it takes up a lot of room so you may have a problem fitting it into the trunk of smaller cars. But other than the bad points mentioned above, this is a terrific stroller. It is easy to push and maneuver and although folding could be easier, unfolding is easier than any other stroller. The center strut has a hydraulic reservoir that stores energy to unfold the stroller so with a gentle tug, the stroller unfolds itself. It is adaptable for older toddlers and this is important. Being an expensive stroller you need to get value for your money and the larger seat for toddlers means that the stroller can be used for a longer time. Before I continue on with the review, it’s important to compare the Quinny Buzz 4 to some of its competitors. Some of the below models are cheaper, some are about the same and some are much more expensive. Check Price In terms of value for money, it doesn't get any better than this. You can get a 20% discount on the Bugaboo Bee3 online at the moment. Valid May 2017. You can also save 20% on the Uppababy Vista, Cruz 2016! These are the 2016 models so you should act soon before they sell out. Valid May 2017 or until stock runs out. Bulky when in the boot with the seat and have to remove at least 1 wheel to fit. Very wide rear wheels can limit access in narrow areas. 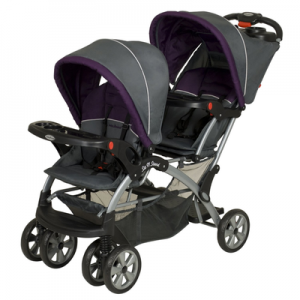 This stroller is extremely maneuverable and we found no problems in both steering and pushing. It is an urban stroller and although relatively heavy, it was fairly easy to push. Over longer distances it may be tiring. Even without the seat fitted, this frame looks very modern and sleek. The center stem contains the hydraulics that do all of the work when unfolding. The stroller feels solid and well very well built and there is plenty of suspension so that even on rougher terrain, your child would be able to remain asleep. 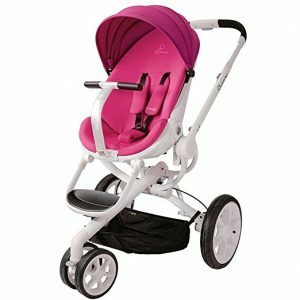 The standard seat that is fitted to the frame is a memory foam seat that cradles the younger child beautifully. Around 18 months, the XL seat can be fitted to accommodate a larger child. This takes a little bit of effort to install but once it is done, you probably will not have to do it again. The chair reclines in three positions when forward facing and in two positions when facing backwards by pressing the two gray buttons on either side of the seat. Moving the chair from forward to rear facing is equally hassle free. By pressing the same buttons a little further and lifting up, the seat comes away from the frame. Rotate the chair to the opposing direction, slide the posts into their sockets and wait for a ‘click’. This is really simple. The stroller works well as part of the Quinny Travel System. 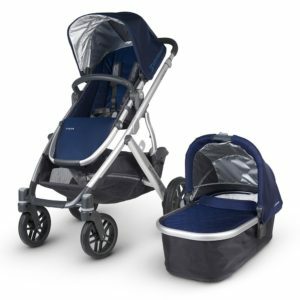 Using the Maxi Cosi seat, the stroller adapts easily into the Quinny Buzz Travel System to make transporting between vehicles much easier. 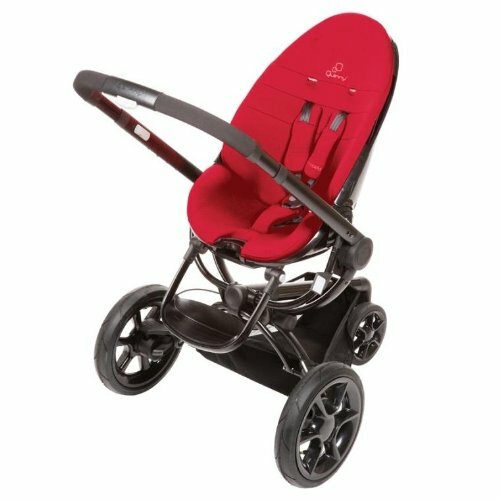 The Buzz 4 can fold down with the seat attached, but Quinny advise that it is removed before folding. There is definitely a ‘Knack’ needed to depress both buttons on either side of the frame, at the same time as applying some downward pressure on the handle. This becomes easier in time but initially it is a little fiddly. The collapsed frame is also quite heavy. Opening is one of the best features of this stroller. Release the catch, nudge the handle upwards and the full expansion happens automatically. This is a great piece of engineering and a real party piece. The telescopic handle is really easy to adjust and extends to over 3 feet 3 inches. Just press the small grey button on the underside of the grip. So, regardless of your height, you will find a level that suits you. The five point harness involves interlinking the left and right buckles, then inserting these into the clip. This could be a little problematic with a wriggling child. The shoulder and crotch straps are cushioned, so that if your child falls asleep, they don’t chafe the neck or face. The canopy folds flat, and will give sufficient shelter in the sun. There is a window in the hood for an adult to look in on the child. The bumper bar is padded and can detach from both or either side, acting as a sort of gate. The knuckle hinge makes the release effortless. With 15 inch pneumatic tires on the back providing the cushioning and 9 inch, lockable, molded wheels on the front allowing 360 degree swivel, the glide on the chair is smooth and will deliver a very comfortable ride. The Buzz Box shopping bag is quite small, even though it claims to have a 11 lb capacity. It would be more suited as a changing bag. It contains the hand pump for the tires, should they go down while you are out. To make this pushchair practical around town, it would be necessary to buy the shopping bag to actually carry any shopping home. 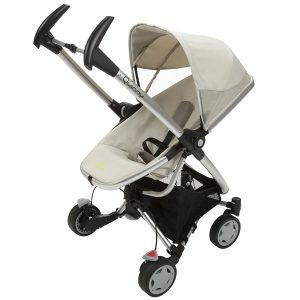 The Buzz 4 is an extremely well built stroller. It is good looking and ticks all the boxes of desirability. There are enough add-ons to adapt it to suit all tastes. It is a little overweight and tricky to fold for shorter people. That said, it moves very easily and is easy to push with one hand. The extendable handle is very handy, and the automatic unfold is a really useful function. The Buzz 3 and the Buzz 4 are basically the same except the Buzz 4 has both front wheels on a ‘fork’ basically like a 4 wheel stroller but better. The seat is super comfy, easy to clean and has good recline positions in both rear and forward facing. It is now much easier to fold and put the stroller in the car as there is no need to un-clip the seat when it is forward facing (although it was always quick anyway). The stroller is a little bit heavier to lift now. The rain-cover is excellent. It keeps the whole seat / bassinet dry. The chassis dries off quickly with a towel. The hood is suitable for most days, but on a really sunny day, it can be a problem and the optional parasol is handy. The wheels are easy to pop off to fit the stroller in smaller trunks. The wheels or tires are pretty much trouble free. As long as you keep them maintained and oiled, the stroller is super smooth with great suspension and is so easy to steer and push, one handed with a coffee up a hill. It is great on walking tracks and can also handle gravel paths, as well as in shopping centers and shops as it is not too bulky. At cafes / restaurants, it can be used as a highchair. It can pull in close to the table and is at the right height to eat, and doesn’t take up a huge amount of space like other strollers. The buzz box / bag is very useful as a diaper bag and the optional shopping basket, is really essential for holding larger items. There are only two major concerns. The first, is that it cannot be converted to a double so if your family expands, you will need to look for another baby stroller. The other con, is that for traveling overseas, it is quite bulky and heavy and does not come with a carry bag which would be useful when traveling on buses or planes. Quinny is part of the Dorel group. Dorel is one of the largest juvenile products distributors in the world. Its products are well-recognized brands that have gained wide consumer acceptance for their high quality, safety and innovative designs that incorporate state-of-the-art features and up-to-date fashion.Quinny has established itself as a world leader in baby stroller design. It uses modern construction techniques combined with ingenious design to make stylish and practical baby strollers for demanding parents and babies. One of these is the Quinny Buzz Stroller. This is a stylish and well designed stroller. Quinny have used the old Zapp frame for the Zapp Xtra but the seat is new. The seat is reversible and it will recline when facing forward or when facing back. The Zapp Xtra is a stroller designed for urban life and is fitted with four small wheels. 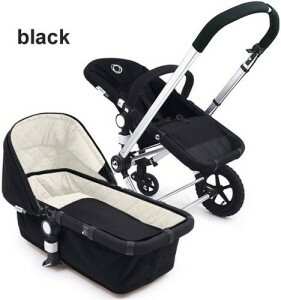 This stroller can be used as a travel system when used with the appropriate car seat and this means that it can also be used with newborn babies. The seat can carry children weighing up to 50 lbs. It is easy to fold and can be folded with the seat still attached. It is available in four colors. 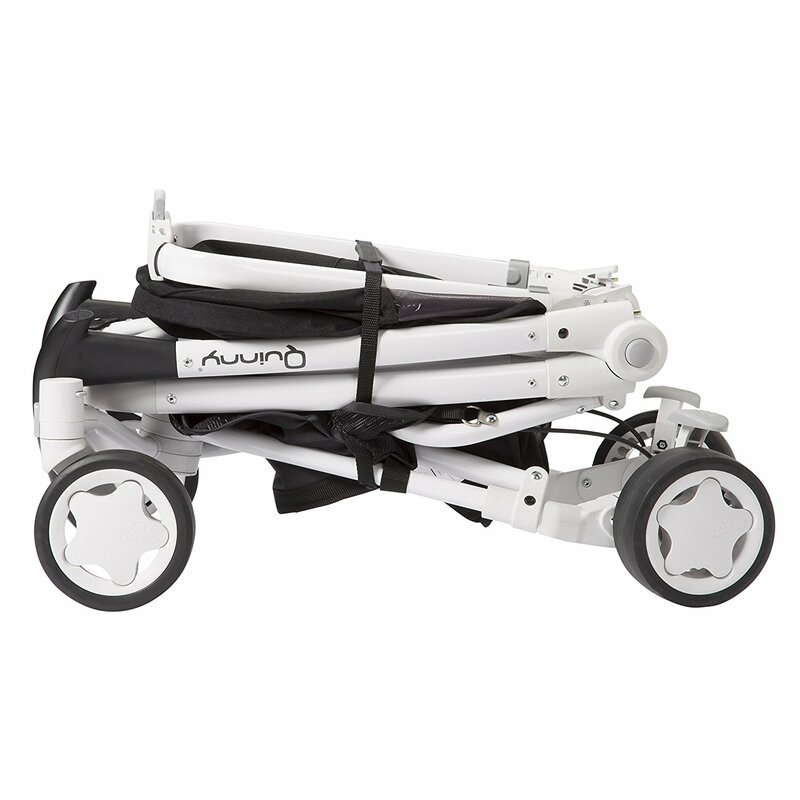 Quinny have decided to use the old Zapp frame for the Xtra Stroller. It is constructed of aluminum and is of very high quality. This is a very stylish frame and it certainly stands out from the crowd and gets you noticed. The frame can accommodate car seat adapters (see “Accessories” below). It folds very compactly with the seat attached but with the seat removed, it takes up very little space. If you own an older Zapp model, there is a Quinny Zapp Xtra Multi-Model Car Seat Adapter now available that will allow you to fold your stroller without removing the seat. If you need even more space when folding, the front wheels are very easy to remove. In my opinion, the Mutsy Easyrider provides a more comfortable ride. The Quinny Zapp Xtra is not the easiest of stroller to push and steer. I found it difficult to steer with one hand. 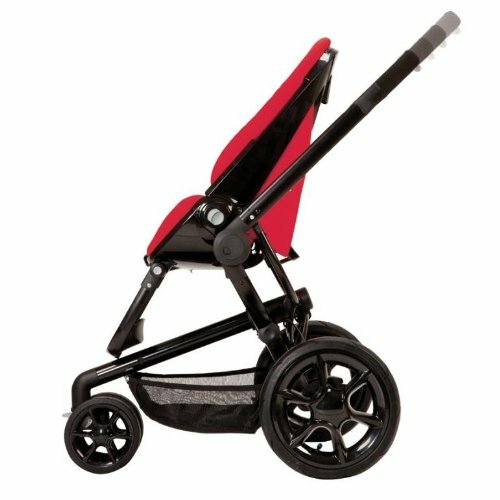 When folded, the Quinny Xtra is very compact and removing the front wheels makes it even more compact. Older models require the seat to be removed before folding. But the folding process is done in two steps and cannot be achieved using only one hand. It is a tricky fold process that requires you to press a button with your foot but with a little practice you will get quick at it. If you do not intend to transport this stroller in a car or airplane then you will probably never need to fold it. But if you are stuck in the rain and need to get it folded to put in your car trunk, it can be a real pain. The problem is that occasionally it sticks and becomes difficult to fold and then you just want to drive over it. But for the most part, the folding operation worked well. There is no automatic locking when folded and you have to use a strap to hold the frame in the folded position. When the seat is facing forward, it has a 3 position recline and when facing back, it has a 2 position recline. When facing back, the seat cannot be put in the fully upright position. In the forward position, the seat can be reclined fully flat and so a bassinet is not essential for newborns. The recline is easy to do and only requires one hand. However the seat itself can be tricky to click into position when reversing or installing the seat on the frame. 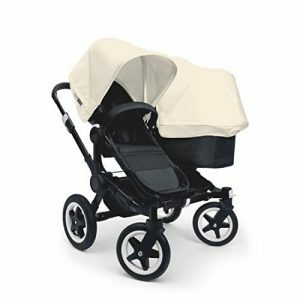 The canopy is large and is one of the better canopies that we have used on strollers. It has a clear plastic viewing window which is handy for keeping an eye on your baby. The storage bag is not very big and it is located underneath the seat. It is difficult to access. The wheels are 5.5″ in diameter and are synthetic. The Xtra is available in either a 3 wheel model or a 4 wheel model. Older models have 3 wheels. We tested the 4 wheel model. The 3 wheel model has only one set of small, double wheels at the front. There is no tube so the wheels will never go flat. Small wheels like these are great for urban environments but not so good over rougher terrain and this makes the Xtra an urban stroller. The rear wheels protrude wider than the front wheels and this caught me out occasionally when they caught on things that the front wheels had easily passed. The front wheels can be locked or they can be free to swivel. One big drawback with the wheels is that they occasionally caught in cracks on the pavement and this could be dangerous. Larger wheels would have been better. The brakes are foot operated and work well. There is a brake pedal located at each of the rear wheels and one will apply the brakes while the other releases the brakes. This is a really good design feature. Overall, we like the Zapp Xtra. It is a quality stroller and it looks great. It maneuvers well but because it has two separate handles, it is difficult to push and steer with one hand. The fold is a little tricky initially but we soon got the hang of it. However it can stick occasionally and this can be frustrating. Older models require the seat to be removed before folding and this would be a real hassle but Quinny now have a seat conversion kit so that you no longer need to remove the seat. We had the occasional problem with the small front wheels getting caught in cracks in the pavement and this required care. We loved the seat and the ability of the seat to carry very large children. The seat padding was excellent. The foot operated brake system is one of my favorites. Overall this is a good stroller and it performs well.